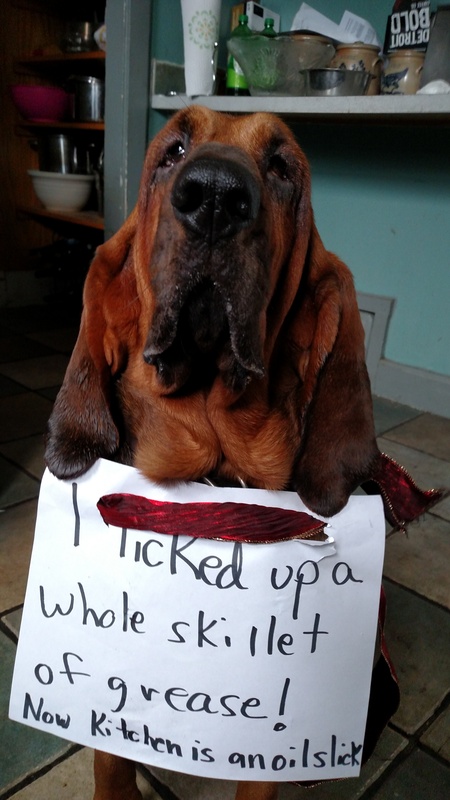 Posted November 16th, 2018 by dogkeeper & filed under Disgusting Doggies, dogshaming, Submitted. I got busy in kitchen while Mom graded papers. Posted January 26th, 2016 by Audra Williams & filed under Pilfering Pooches, Submitted. I conspired with my Mom’s bestie, Renee, to destroy Mom’s favorite sunglasses. Renee hated them and wanted them dead. She paid me off with treats! No shame! 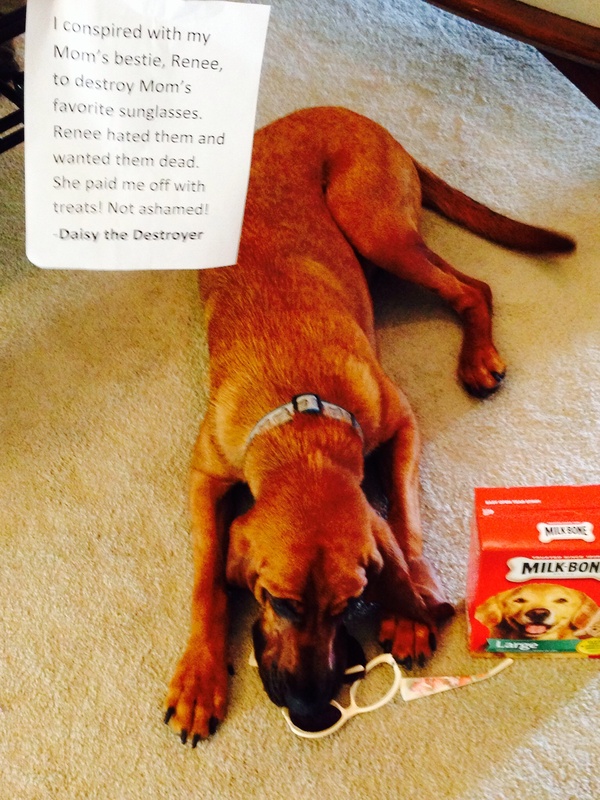 -Daisy the Destroyer. Posted January 22nd, 2016 by Audra Williams & filed under Bad Babysitter, Double Trouble, Submitted. The dogs have let our almost 2 year old son join their pack. They have even taught him to bark! 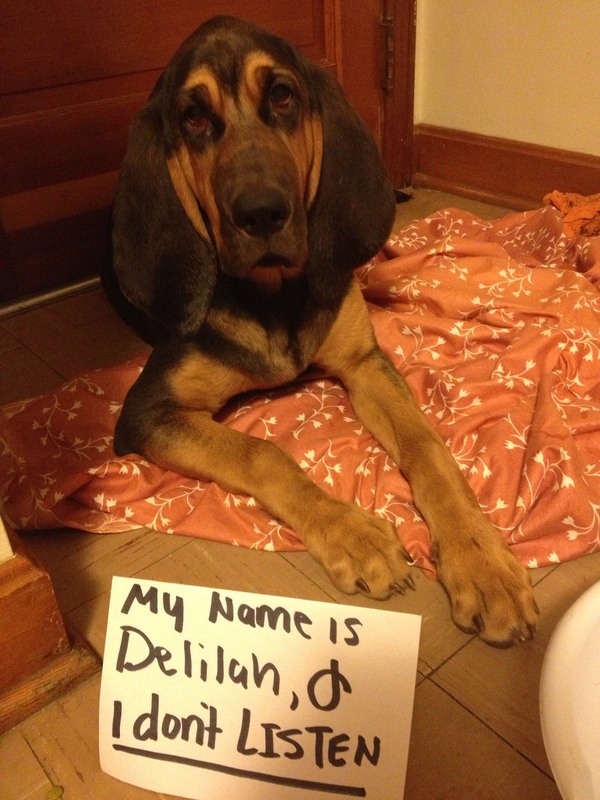 Belle the bloodhound is 9 & Holiday the coonhound/lab is 7. Posted June 8th, 2015 by Audra Williams & filed under Couch Potatoes, Submitted. 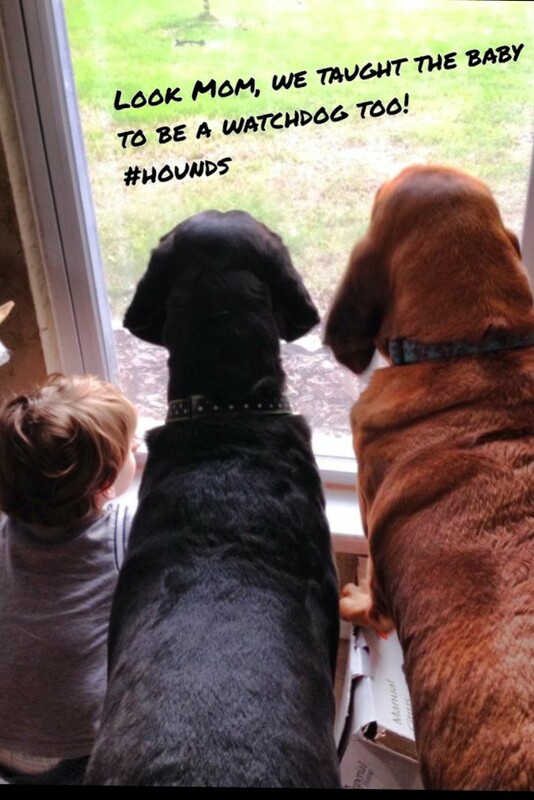 Posted May 20th, 2015 by Audra Williams & filed under Disgusting Doggies, Double Trouble, Submitted. 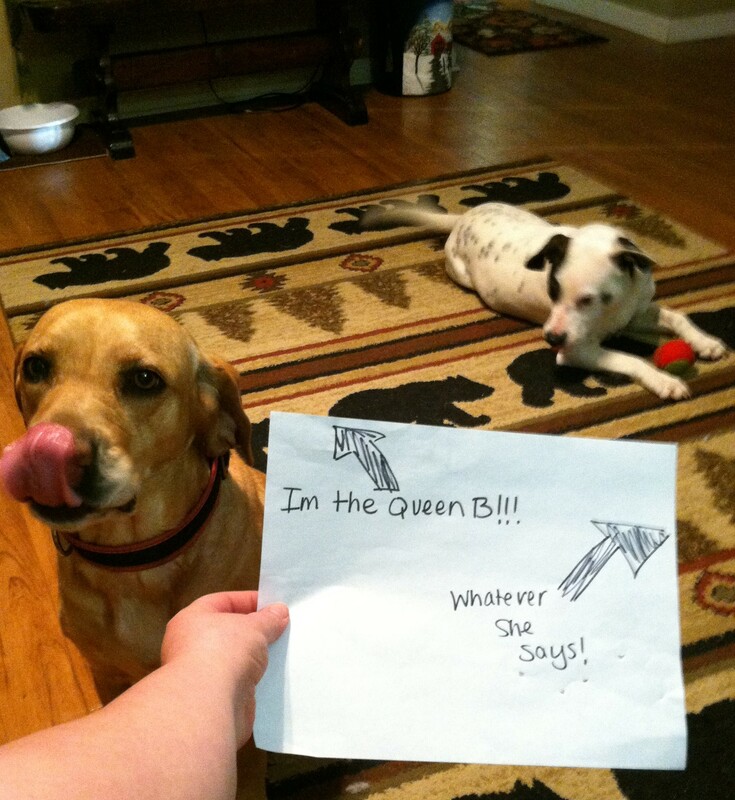 I’m the Queen B! Well the real name is Gracie! I get so excited I hump this fellow over here to my right even though we are both fixed. As you can tell, I have no Shame! Whatever she says! Yah,I let her. Wishbone’s the name and I have no shame in my game! I’m just camera shy! 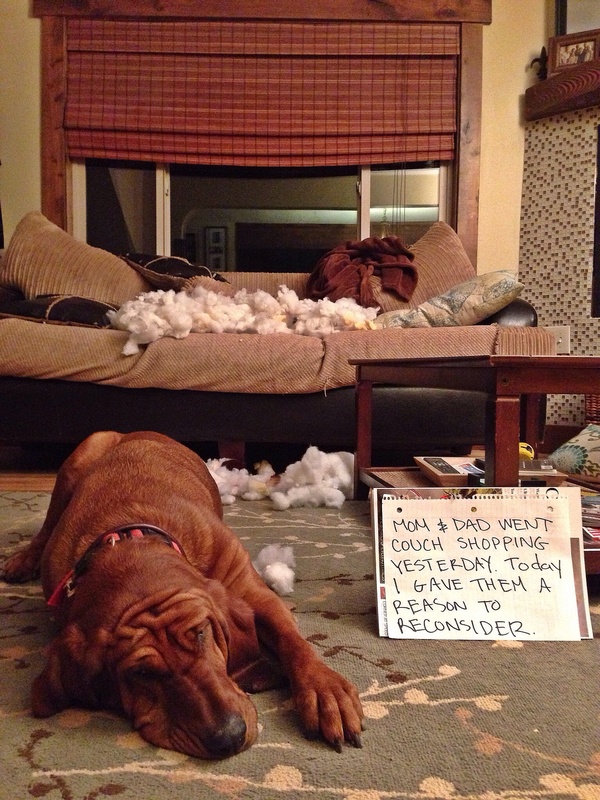 Posted July 10th, 2014 by & filed under Pilfering Pooches, Submitted. 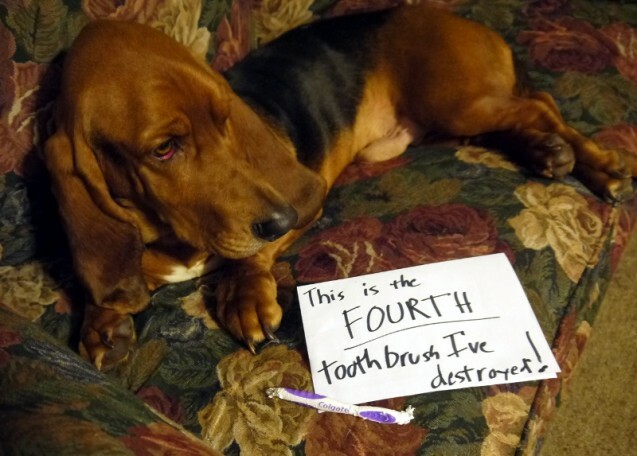 Cosmo the Basset Hound seems to enjoy destroying tooth brushes. This is the fourth one he’s gotten, and he always chews up mine for some reason, nobody else’s. RSVProblem with the seating chart? 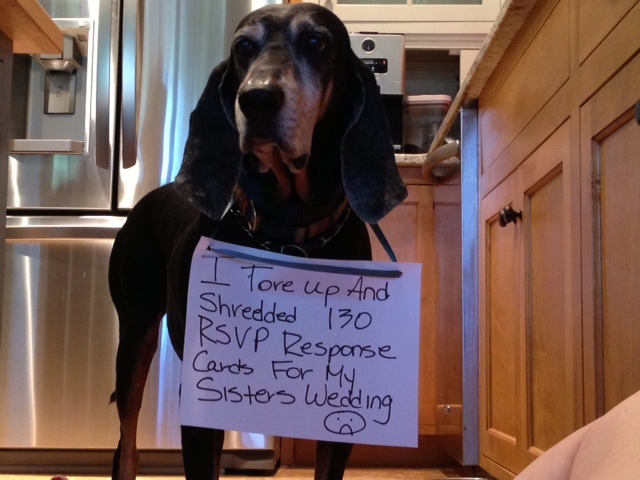 I tore up 130 wedding RSVP response cards for my sister’s wedding!!!! Posted February 11th, 2014 by & filed under Best Friend Betrayal, Submitted.